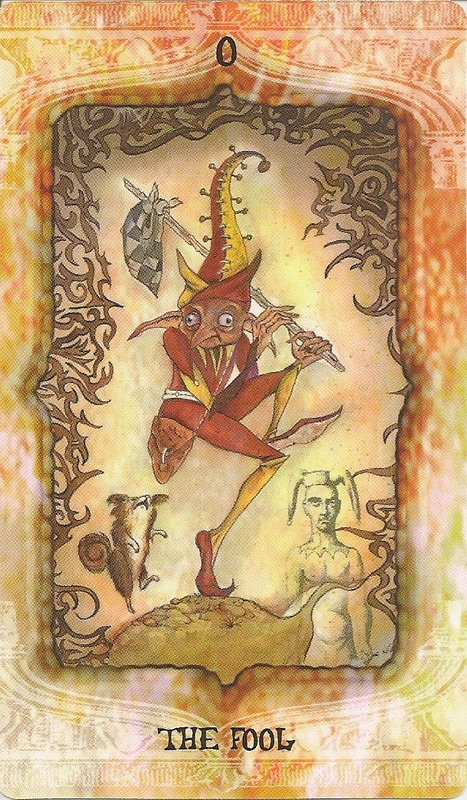 There are eighty cards total (the two extras being Jokers) in this deck.The suits are wands, swords, pentacles and cups (featuring coffee-cups). The Minors are unillustrated but subtly decorated. 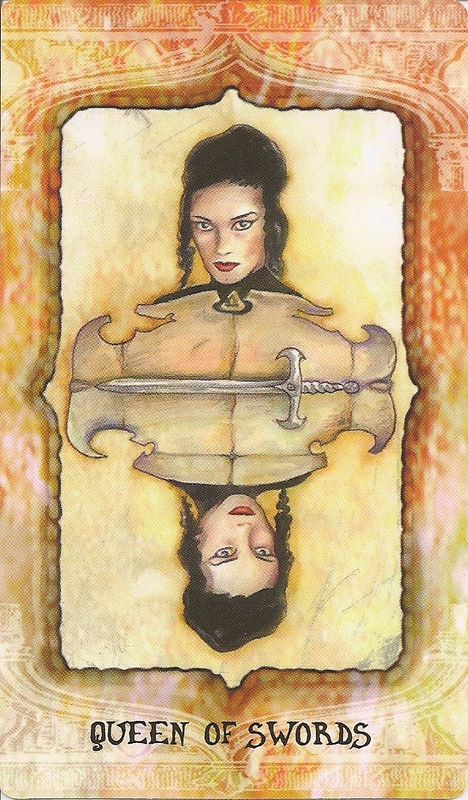 The Court Cards are reversible, busts of individuals usually seen in profile around the symbol of their suit, rather like the court cards in playing decks. 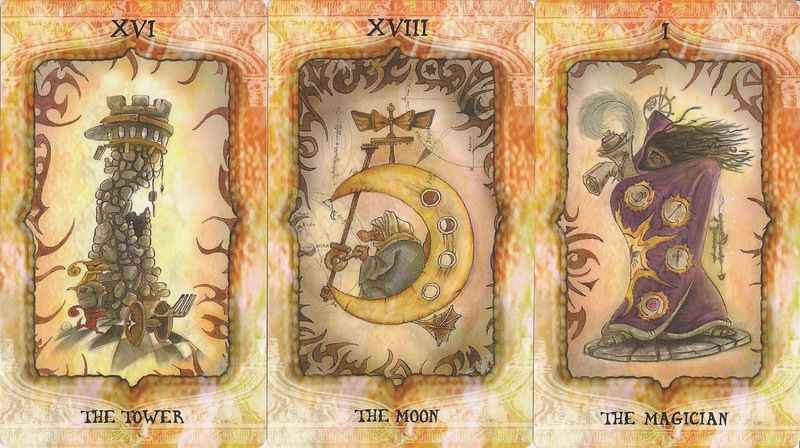 The cards have a broad, elaborate yellow and brown border. The non-reversible card backs feature a red area rug complete with golden accents and fringe. In the middle of each card back is a bug with spreaded wings. 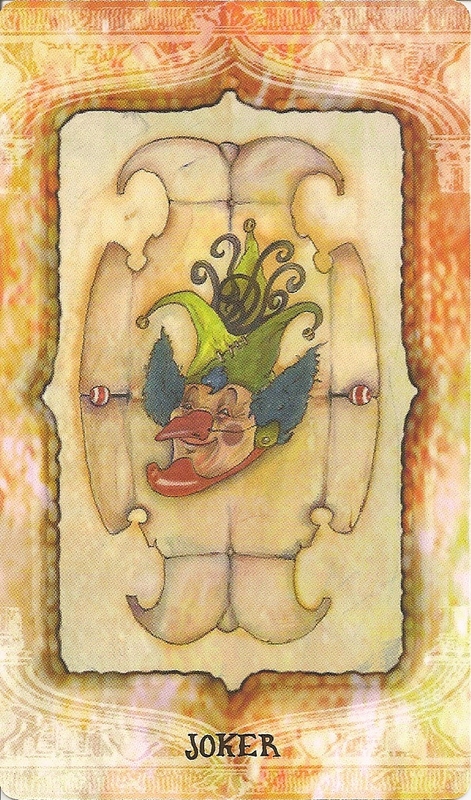 The cards are painted with watercolors. After the paint was dry, they were scanned and the color adjusted in Photoshop. It is a limited edition of 100.